​Manchester City's Benjamin Mendy has sparked controversy after an Instagram post led journalists to question a confused Pep Guardiola whether the full back was in Hong Kong this week. After posting a selfie to his Instagram story with the location tag set for Paseo de Gracia in Barclona on Thursday afternoon, the defender posted another selfie video of himself in a car on Friday morning, alongside a driver, this time with the location tag set for Hong Kong International Airport. The France international has been absent since the Manchester derby in November after requiring surgery on a knee injury he sustained shortly after the game. According to his manager Pep Guardiola, Mendy had been sanctioned to visit Paris this weekend, following his tests in Barcelona, but Hong Kong certainly wasn't on the agenda. Speaking in his ​, an incredulous Guardiola responded to questions regarding Mendy's whereabouts by admitting: “Hong Kong? I didn’t know it, f*ck he’s a lucky guy. Before he said 'I'm going to Paris', ok it's here, but Hong Kong is far way. So I don’t know. I'll have to install Instagram." When asked if it would be ok if Mendy had indeed jetted off for an impromptu visit to Asia, Guardiola replied: "No, no, definitely not. Definitely not." 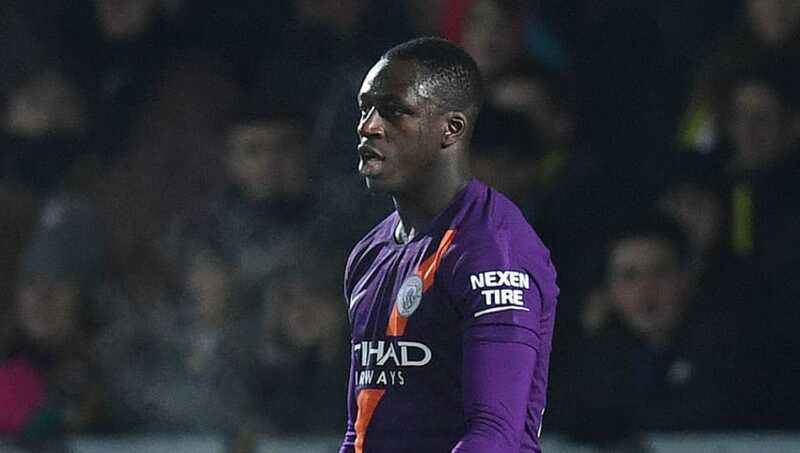 However, when the 24-year-old ​Manchester City star saw his manager's comments posted by the account City Watch, he quickly replied in the comments attempting to clear up the situation: "It was just joking with my uber driver I dont want no problems Pep [sic]." The left back's relationship with Guardiola has been tested previously this season, with the manager telling the former Monaco man to cut down on his social media usage.